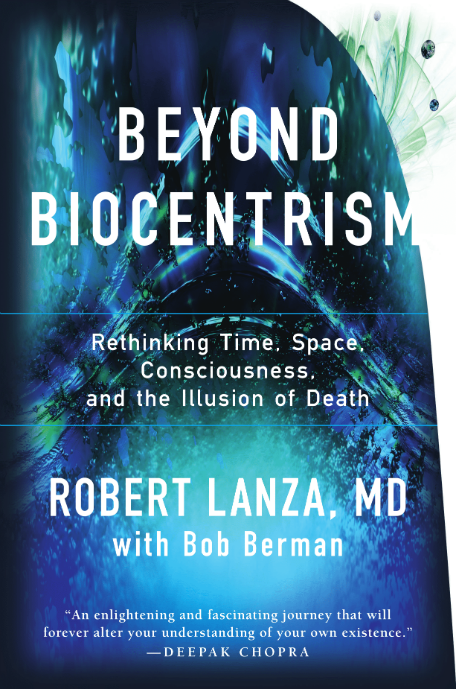 One of the most interesting books to cross my desk this summer was Biocentrism, written by Dr. Robert Lanza, who is probably best known for his groundbreaking work with stem cells. The book is an out-and-out challenge to modern physics, and its inability to reconcile the fundamental forces of nature and make sense of our universe. Lanza believes that is because physicists fail to take consciousness into account as part of their theories. As a result he proposes a new theory, biocentrism, that says the universe cannot exist without life and consciousness. The book basically has three components: the attack on physics, the explanation of biocentrism and details about Lanza’s personal life. I found the attack on physics to be pretty compelling, I’m not yet sure what to make of Lanza’s theories. But they’re certainly worth debate. So I spoke to him last week about the book and I’ve published a transcript of our interview below. What have you been doing with your free time now that you’ve cleared your calendar of social visits with physicists? Yeah, they’re not overly excited about this. You can imagine that when you tell a group of scientists that their whole life has been a joke, they get a little defensive. We are told that life is just an accident of physics. But a long list of experiments suggests the opposite. Think about space and time. They’re not the hard objects we think of. You wave your hand through the air, and if you take everything away, what’s left? Nothing. The same thing applies to time. You can’t put it in a bottle like milk. If you look at anything, say the phone in front of you, you can’t see that through the bone that surrounds your brain. Everything you see and experience right now is a whirl of information occurring in your mind. So space and time are simply the tools for putting everything together. Even the weather, if you step outside, you see the blue sky. As a biologist I can tell you that the cells in your brain could be changed so that the sky looks red, or even green. This logic applies to virtually everything, and so the bottom line is that what you see could not be present without your consciousness. There are many other pieces to the puzzle. 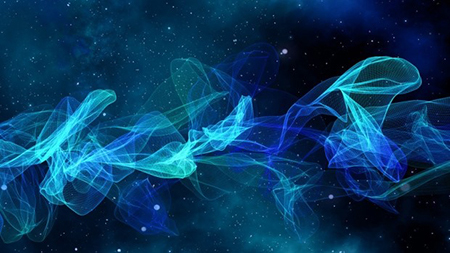 The structure of the universe is probably one of the best arguments for biocentrism. If you think about it there’s a long list of traits that make it seem as if everything, from atoms to stars, was tailor-made for humans. For instance, with the Big Bang, if it had been one part in a million more powerful, the cosmos would have blown out too fast for stars and worlds to form. There are dozens of parameters so exact that, if you tweak any of them, we never existed. None of them are predicted by any theory, and they all seem carefully chosen for life. All of this only makes sense under biocentrism, which explains how the universe is created by life. Beyond these physical constants, consider everything that had to happen to bring about humans. Consider evolution, consider the meteor that wiped out the dinosaurs, if it’s trajectory had been slightly different, or the asteroid had been slightly larger, we would not be here. The odds are astronomical against everything happening exactly right for you to be here. So the question is, is it dumb luck? But if you say something is an accident, it usually means you don’t understand the reason for something. Two years ago, in a paper published in Science, there was an experiment showing that you can put a particle into an apparatus, and you can make a choice now that changes what happened to the particle in the past. Now that’s the same world that you and I are in. The point of science is not to ignore experiments like this, but to incorporate them into your theory. Is the basic idea with this book not that — If a tree falls in the forest and no one is around to hear it does it make a sound? — but rather that it never fell at all? It’s really not that simple. Einstein once asked a fellow physicist, “Do you really believe the moon isn’t there when you don’t look at it?” That’s a really interesting subjective question. The answer would be yes, as long as a consciousness is interacting with it. I think we know for a scientific fact that without an observer not a single particle exists in that tree with definite properties. So if you don’t look at it they exist only as probability waves. The color and brightness of the tree also requires a consciousness. So again, without your consciousness, nothing remotely resembling that tree could exist. How were you led to this notion of life and consciousness being the key to understanding the nature of the universe? Was it simply a reflection of your dissatisfaction with modern physics? Yes. There are literally hundreds and hundreds of experiments that are getting swept under the rug. As you know, for almost a century now physicists, not for a lack of any brilliance, have been trying to reconcile the foundations of science like relativity and quantum theory, which are more or less at odds. So there’s something going on. There’s something fundamentally wrong with our paradigm of the world. I’m a bit of a cynic about scientists. I think our view of the world is pretty much the same as a chipmunk or a squirrel. A squirrel opens his eyes and the acorn is there. He grabs it, runs up the tree, and doesn’t give it any further thought. We’re really the same. We wake up in the morning and the world is just magically there. But experiment after experiment shows that not a single particle exists with real properties if no one is observing it. So reality is a process that involves our consciousness. For instance it becomes clear, with this new theory, why space and time and even the properties of matter itself depend on the observer. When you start putting the whole picture together you really need an internal consistency, and physicists just sort of add and subtract dimensions like properties on a Monopoly board. Having six dimensions curled up like soda straws at every point in space. The point of science is trying to make sense of all the experiments and data we see, not writing an equation and saying that’s a new dimension. Is the point, then, that we simply can’t make sense of all the experiments? No. It’s sort of like Professor Moriarty would say, “When you eliminate the impossible what you’re left with, however improbable, is the truth.” However much you may want to resist that, the whole point of science is going wherever experiment and data lead you. And this is exactly what happened back with the Copenhagen interpretation, with the greatest physicists in the world. There was just no reason to believe, it seemed absurd, they tried to interpret the results they were seeing within the existing paradigm. The problem with that is by definition, a new paradigm always appears to be nonsense to those within the existing paradigm. Numerous Nobel laureates understand there are problems. Even Nobel laureate physicist Steven Weinberg says physics cannot explain consciousness. What I’m trying to say is that they are co-relative. What this means is that reality is a process. Consciousness is one side of the coin. If you divorce consciousness from the universe, there is no reality. I found the book to be a pretty withering attack on the efforts of modern physics to make sense of the cosmos and find a grand unifying theory. Have you gotten any reaction from physicists? You’ve got to remember that this challenges the dominant orthodoxy. They’re steep in these ideas and mathematics. So the reaction has been much the same as a priest’s reaction to stem cell research. Again the main problem is that biocentrism is a proposal for a paradigm shift, not just a change within the existing paradigm. The book has a lot of personal anecdotes, especially about your sister. Why did you decide to weave that into the narrative? I was a little hesitant to do this, but our agent, and various people involved, felt this material was very dense and your head spins. We were trying to make the material more accessible and allow people to connect emotionally. I would have loved to have gone for the jugular, but it would have lost people. Robust science makes testable hypotheses. How do we verify biocentrism? This theory is falsifiable like other scientific theories, including evolution or relativity. A good theory is consistent with all the known facts. 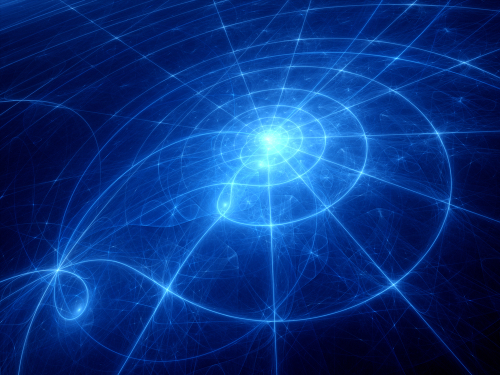 Biocentrism not only predicts the space-time transformation laws, the Heisenberg Uncertainty principle, the two-hole experiment as well as the laws and constants associated with the structure of the universe. Any one of these could have proven biocentrism wrong. Future experiments, such as scaled-up superposition, will either verify or contradict the theory.